Whenever deer hunters gather, the topic inevitably arises, what is the best calibre to use on our Irish deer species? Bearing in mind that Deer Alliance HCAP strongly advocate .240 calibre, bullet weight 100 grains and muzzle energy 2100 foot-pounds as the recommended minimum legal calibre, we set out below a pictorial comparison of the multitude of different rounds used in Ireland or elsewhere. 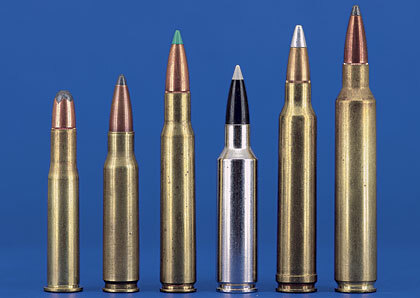 .22 Hornet, .222 Rem., .220 Swift, 6mm Rem., 6.5×55, 7×57, .284 Win. and .300 Savage. .204 Ruger, .223 Rem., .22-250, .243 Win., .257 Roberts, .25-06, .260 Rem., .270 Win. and 7mm WSM. .30-30, .308 Win., .30-06, .300 WSM, .300 Win. Magnum and .300 Ultra Mag. 7mm-08 Rem., .280 Rem., 7mm WSM, 7mm Rem. Magnum and 7mm Rem. Ultra Mag. 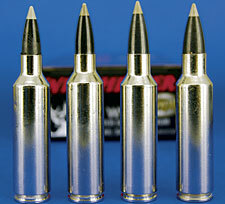 Winchester Short Magnums: .270, 7mm, .300 and the .325. This entry was posted in Uncategorized on August 26, 2012 by Liam Nolan. 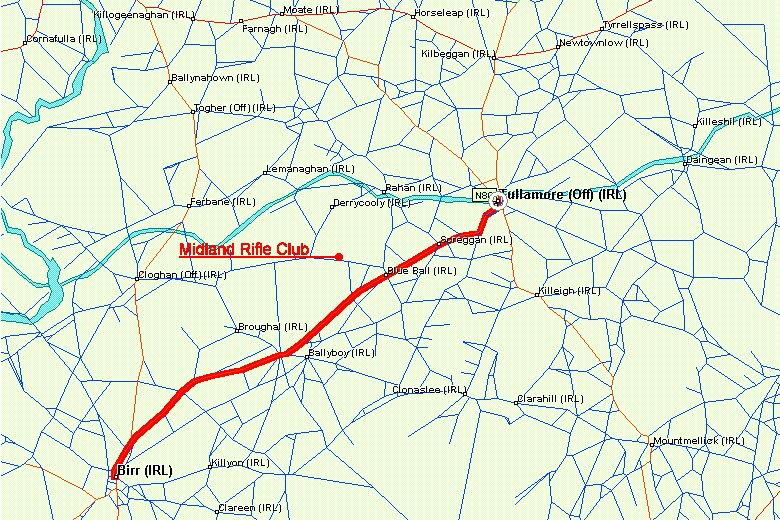 .220 SWIFT – A SUITABLE CALIBRE FOR IRISH DEER SPECIES? Arising from a recent Deer Alliance HCAP Range Test, the question arises, is the .220 Swift a suitable round for use on our Irish deer species? The current minimum legal calibre for use on deer in Ireland is not defined by calibre but rather by bullet weight and muzzle energy. 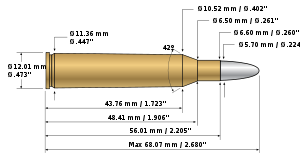 The minimum legal bullet weight is 55 grains and the minimum legal muzzle energy is 1700 foot-pounds, as provided for under Statutory Instrument No. 239 of 1977. Effectively, this is taken to mean the .22/250 which in the period 1972-1993 was probably the most widely used centre-fire round, although for many hunters, the preferred round was the 5.6 x 57 m.m. with 74 grain bullet (typically with 1915 ft-pds ME). 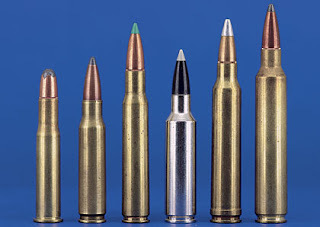 However it should be noted that at the time of publication of SI 239/1977, it was established that many manufacturers of .22/250 ammunition were producing ammunition delivering less than 1700 ft-pds of ME, the average being 1637 ft-pds ME. This remains the case and in fact, most if not all .22/250 ammunition currently available in Ireland at retail level fails to meet the legal minimum requirement – which in turn means that unless applicants for a Deer Hunting Licence specifying use of the .22.250 can prove that their brand of ammunition delivers 1700 ft-pds ME, then the NPWS Wildlife Licensing Unit are entitled to reject the application for the DHL, as to grant it would lead to a breach of the Wildlife Act 1976 (as amended) and/or SI 239/1977. Meanwhile, from 1993, larger-calibre firearms became available and accepted by the licensing authority (Garda Siochana). This came about as a result of certain legal actions in the form of judicial review in the High Court against refusal of firearms certificates for calibres above .22 inch. 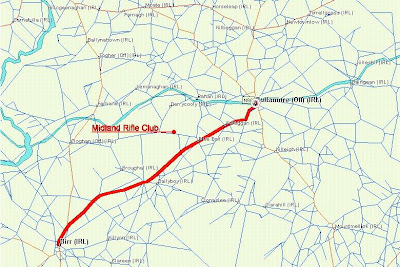 Thus the keener deer hunters switched over to calibres such as the .243, .270, 6.5 x 55 m.m. 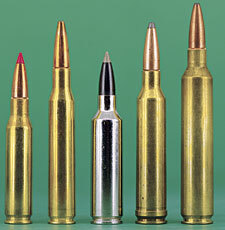 and .308, while newcomers to deer hunting automatically went for the larger calibres. 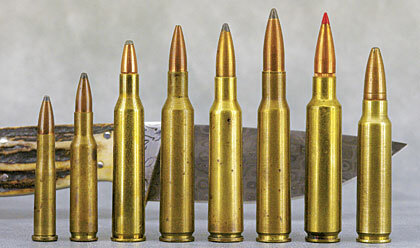 Nevertheless, there remains a hardened corps of hunters who still use the .22/250 and in a few cases, the 5.6 x 57 m.m. This is despite the fact that unanimously, the various deer organisations, and especially Deer Alliance HCAP, are committed to the promotion and use of .240 inch, 100-grain bullet with muzzle energy of 2100 foot-pounds as the recommended minimum legal calibre for our Irish deer species. For purposes of the Range Test element of HCAP, candidates must use the legal minimum calibre (not necessarily the minimum recommended legal, which is a different calibre). For a small handful of candidates, this has meant the .22/250. More recently, one candidate presented with a rifle in calibre .220 Swift, with 60 grain bullet. While the standard .220 Swift with 40- or 50-grain bullet does not meet the minimum legal calibre requirement, the same calibre with 60 grain bullet does, since in Winchester 60 grain, it delivers 1772 foot-pounds (2403 Joules) of energy at muzzle. Thus Deer Alliance HCAP are satisfied that the .220 Swift with 60-grain bullet may be used for purposes of the HCAP Range Test, while strongly advocating that the minimum legal calibre should be .240 inches, with 100-grain bullet and muzzle energy of 2100 foot-pounds, for all purposes relating to the humane and effective management of wild deer. HCAP Range Test Candidates wishing to use the .22/250 with 55 grain bullet must prove that their chosen ammunition also meets the legal minimum requirement of 1700 ft-pds ME.  Deer Alliance Hunter Competence Assessment Programme (HCAP) is the only Trained Hunter qualification recognised by Coillte Teoranta for purposes of hunting wild deer on Coillte forest property, and is not to be confused with any other so-called “Trained Hunter” qualification. Any person wishing to hunt wild deer on Coillte property, as Licensee or Nominated Stalker, must be HCAP-Certified. The purpose and objective of HCAP is firstly to satisfy Coillte’s requirement for the safe and effective management of deer on its forest property by properly qualified persons, and secondly to bring about “best practice” procedures and skills in the overall management and conservation of wild deer throughout Ireland, by properly trained and competent persons. HCAP is in its seventh year of operation, preceded by four years of collaborative development. Participating bodies include the Irish Deer Society, Wild Deer Association of Ireland, Wicklow Deer Management & Conservation Group, Wicklow Deer Society, Coillte Teoranta, National Parks & Wildlife Service, Forest Service, Irish Farmers’ Association, Garda Siochana and the Irish Timber Growers’ Association. HCAP is run on a voluntary basis, with no profit-making or commercial gain to any participating body or person. The cost of undertaking assessment has not increased in the last six years and is currently fixed at a flat €100.00 to include written MCQ Assessment, Range Test and Certification. HCAP is recognised by the Garda Siochana as the appropriate evidence of competence, required under current firearms licensing procedures, for persons applying for firearms certificate for a full-bore rifle for purposes of hunting wild deer. HCAP is supported by the only publication dealing exclusively with the management, conservation and practical stalking of wild deer in Ireland – the Deer Alliance Stalker Training Manual, available through the Deer Alliance website, www.deeralliance.ie. 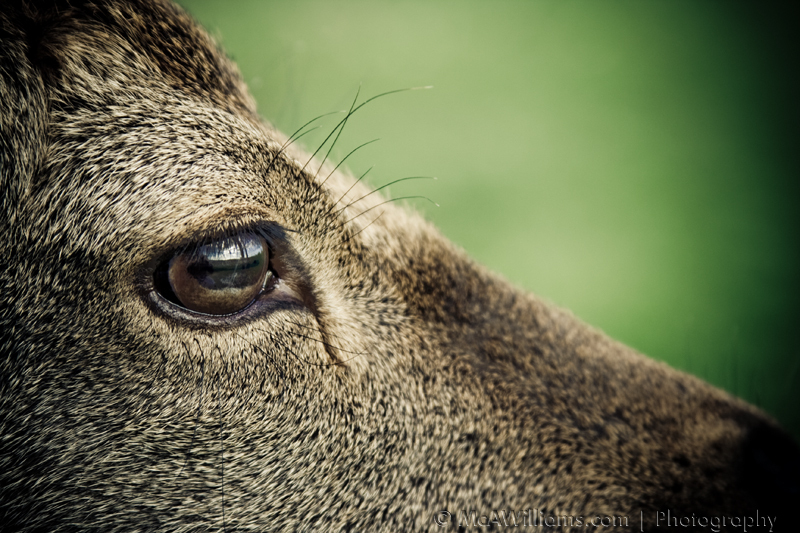 Approximately one in four of all licensed deer hunters in Ireland, accounting for up to fifty per cent of the annual licensed legal deer cull, is HCAP-Certified, and since inception, Deer Alliance HCAP has persistently and repeatedly pressed for the adoption of HCAP or equivalent as a prerequisite to the issue of a deer hunting licence. All licensed deer hunters, or persons intending at a future to take up deer stalking as a practical tool of management and control of wild deer, are invited to undertake HCAP assessment and certification and so ensure they are, so far as possible, following necessary best-practice procedures while adding immeasurably to their knowledge and appreciation of wild deer. For further information go to the main Deer Alliance HCAP website, www.deeralliance.ie. This entry was posted in Uncategorized on August 22, 2012 by Liam Nolan. “Following your submission on the Deer Management Policy Vision in November 2011, and your expression of interest in participating in the Deer Management Policy Development Programme, Mr. Shane McEntee TD, Minister of State at the Department of Agriculture, Food and the Marine, invites you to an information briefing on a ‘DEER MANAGEMENT POLICY VISION’. The purpose of the Briefing is to outline progress since the completion of public consultation, and to discuss the process involved in developing a deer management strategy in conjunction with stakeholders”. Stakeholders having made submissions and who wish to attend this event should contact Rod Johnstone, e-mail: rod.johnstone@agriculture.gov.ie, or Philip Carr, e-mail: philip.carr@agriculture.gov.ie, before 4.00pm Wednesday 5th September 2012. Specific queries regarding this event or subject matter prior to the event can be sent to ciaran.nugent@agriculture.gov.ie. The death occurred on 11 August 2012 of Paul Anthony Wood, Vice-President of the Irish Deer Society, at his home in Oughterard, Co. Galway. Paul was born in Rugby, England in 1947 but had been resident in Ireland since the late 1960s when he came to Ireland to enter the world of advertising in Dublin. He was to remain in Ireland from that date, becoming “more Irish than the Irish themselves” in many ways. Although highly successful in the sphere of advertising and graphic design, and an accomplished artist whose work has been collected by many over the years, Paul was perhaps better known as a “deer man”, game shooter and wildfowler of considerable knowledge and experience, much of which he regularly sought to impart in the columns of the Irish Shooter’s Digest. Importantly, Paul was Deer Manager at Screebe Estate in Connemara, Co. Galway, where his work and achievements led to the re-introduction of Red deer after an absence of over a century and a half. More importantly, his careful management policies and highly selective cull programme, supported by characteristics of habitat, natural feeding and generic quality of the base deer population have led to an astonishing quality of animal, at least equal, and probably superior, to any Red deer elsewhere, world-wide. Paul’s work at Screebe began in the mid-1990s, when Nikolai Burkart, whose family are the owners and custodians of Screebe Estate, decided to take up the challenge of introducing and fostering a small population of deer, and Paul Wood was recruited to manage the project. Paul’s enthusiasm was matched only by Nikolai Burkart’s commitment and financial support over the last decade and a half. Put simply, Paul achieved something of a miracle, in building a population of deer in habitat far removed from the hardwood forestry and lowland grazing usually associated with the sort of heads seen at Screebe. Meanwhile Paul remained an active bird-shooter too. Paul was a gifted naturalist and extremely knowledgeable in the matter of rearing and releasing game, a talent he brought to bear with the creation of a duck shoot at Screebe, having previously led the establishment of successful pheasant shoots at Dunshane and Brannockstown in Kildare. Having shot both deer and game with Paul over many, many years, this writer can confirm that he had the hugely aggravating habit of always being in the right place at the right time when it came to spotting deer or pulling down an impossible bird. He was tireless in the field and the luckiest man too. He was a magnet for deer and game, but it was always a gamble whether he would get the shot before you did! Paul was active in the Irish Deer Society, as an officer of the Leinster Branch, Chairman of the Connacht Branch and most recently, Vice-President of the national body. Paul recently received the John Nicholson Trophy from the Irish Deer Society, the Society’s highest honour, awarded for exceptional services to the conservation and management of wild deer. Paul was a CIC- and Rowland Ward-accredited head measurer and will be known to many in that context. Immediately prior to his unfortunate death, Paul was active in the creation of the Irish Trophy Commission Limited, of which he was a founding director and the work of which will be carried on as part of his legacy. This writer had the very great pleasure of knowing Paul Wood for nearly thirty-five years, of shooting with him for most of that time, and of working alongside him in relation to the better management and practical conservation of wild deer throughout Ireland. I knew too his very great love for his family, and I watched his family grow and develop their own lives as they made Connemara their home. His wife Trish, in common with the wives of many shooting men, was patient and long suffering but her love and support was of vital importance to Paul throughout his married life. Nobody could remain annoyed at Paul for very long, such was his innate charm and good humour. Just a week before he died Paul went to Germany for some specialist medical tests and of course, he managed to squeeze in an outing after Roe deer and wild boar. A sense of his love and appreciation of nature may be gleaned from his record of those outings, where he writes of “the laughing call of the green woodpecker, the mewing call of the common buzzard, a nuthatch creeping up the bark of the tree next to me. A pair of brown hares skipped and jumped about only twenty metres in front of us…. the bright chestnut form of a roe doe [taking] several delicate steps out into the field”. He concludes: “There is something about the hunting fraternity, even if you cannot speak the same language, hunting transcends all. Friendships that are made together whilst hunting last for a lifetime”. It was a great privilege to have known Paul Wood for as long as I have. His sudden and untimely death has deprived us all of a valued friend and an important contributor to the welfare, conservation and better management of wild deer. His legacy at Screebe will hopefully live on, as will the legacy of his much-loved family. I know that I speak for countless shooting men and deer people when I say that he will be greatly missed. Paul is survived by his wife Trish, daughters Isobel, Jodie, Abbey and Lola, son-in-law Pascal and grand-daughters Millicent and Alice, all of whom he loved equally and deeply, and to whom we extend our sincerest sympathies and condolences. To: Deer Alliance HCAP, PO Box 1, Borris, Co. Carlow. This entry was posted in Uncategorized on August 20, 2012 by Liam Nolan. Deer Alliance HCAP is saddened to report the sudden and untimely death of Paul Wood (photographed above, left, with Liam Nolan, Deer Alliance, at a recent HCAP MCQ in Claremorris, Co. Mayo). Paul was Deer Manager at Screebe Estate, Connemara, Co. Galway and a former senior officer-holder and Chairman of the Irish Deer Society in Connacht and nationally. He died unexpectedly but peacefully at his home on Saturday 11 August 2012. Paul will be greatly missed by all who knew him but especially by his loving and much-loved wife Patricia and his daughters, Bel, Abby, Jody and Lauren, to whom we extend our sincerest sympathies. A fuller tribute to Paul’s life and contribution to deer in Ireland will appear here shortly. Funeral arrangements: Service of Rememberance at Church of Ireland, Oughterard, Co. Galway at 12 noon on Friday 17 August 2012, followed on Monday 20 August 2012 by Service of Cremation at Mount Jerome Cemetery, Dublin at 3.30 p.m. This entry was posted in Uncategorized on August 12, 2012 by Liam Nolan. The Irish Trophy Commission was officially launched at the recent highly successful National Country Fair at Borris House on 4/5 August 2012. The Commission measures trophy heads principally for the three Irish deer species, Red, Fallow and Sika, and awards certificates and medals based on the CIC (Conseil International de la Chasse et de la Conservation du Gibier)International Council for Game & Wildlife Conservation and Rowland Ward measurement criteria. The ITC Panel of Accredited Measurers currently includes Liam McGarry, contact no. 087 264 3492 and Joe Murphy, contact no. 087 283 4662. Paul Wood, whose recent sad death is reported elsewhere on this blog, was a founding Director of the Irish Trophy Commission. Paul was a CIC and Rowland Ward Accredited Measurer who was known to many stalkers throughout Ireland and who will be greatly missed by all, especially his many friends and colleagues in ITC and the Irish Deer Society. Irish Trophy Commission accredited measurers will be present at the Game Fair at Birr at the end of August and hunters wishing to have heads evaluated can bring heads to the ITC Display Area. A nominal charge, payable to Irish Trophy Commission, applies in respect of the expenses of the Accredited Measurer carrying out any head measurement. ITC is a not-for-profit organisation committed to contributing to the better conservation and management of game and wildlife in Ireland. According to the Commission, measurement of heads is one way of monitoring the health, genetic quality and general well-being of deer nationally and locally. The Irish Trophy Commission supports Deer Alliance HCAP (Hunter Competence Assessment Programme) as the competent standard for Stalker Assessment and Certification in Ireland. Irish Trophy Commission Limited is an Irish-registered company limited by guarantee. Its Directors include L. McGarry, J. Murphy, and L. M. Nolan (Acting Chairman). J. Murphy, Secretary, Landenstown, Sallins,, Co. Kildare, is Acting Secretary. It is intended that the different organisations having an interest in deer matters including Irish Deer Society, Wild Deer Association of Ireland and Countryside Alliance Ireland will be invited to nominate Directors on a rotating two-year basis.